This story was reported using data from ProPublica’s Documenting Hate Project. This project is collecting reports to create a national database of hate crimes and bias incidents for use by journalists and civil-rights organizations. SAN JOSE, Calif. -- On March 19, 2017, Shivani Aggarwal decided to make a Costco run to pick up supplies for her son’s birthday party planned for later that day. She had just about finished and was headed to the checkout counter when a cart slammed into her from behind. “Oh, my goodness! That hurts!” Aggarwal recalled saying as she crouched over her bruised and bleeding foot. “Geez, it couldn’t have hurt that much!” the woman shopper responded. The SAALT figures mark a 34 percent increase from 2014, with 95 percent of the reported cases motivated by anti-Muslim sentiment. Brian Levin is director of the Center for the Study of Hate and Extremism at California State University, San Bernardino. He recently published a study showing that police reports and FBI tracking regularly undercount hate crimes. Issues of language and culture barriers, as well as mistrust between communities and law enforcement, can often dissuade victims of hate crimes from reporting. Also, lack of training can mean police officers do not accurately report incidents of hate or bias as such. Aggarwal’s and the hikers’ cases likely fall under the purview of hate speech, but Srinivas Kuchibhotla’s, who was killed in a Kansas bar by an attacker who later admitted he thought Kuchibhotla and his companion were from Iran, was a hate crime. Purinton is standing trial for murder, and additionally for a hate crime, since he yelled “get out of my country” and identified just the two Indian men for his violent outburst. Indian Americans are visibly different from white and black America. These visible differences act as signals to a less informed or selectively informed populace. Indians are targeted for being illegal immigrants, Middle Easterners, Muslims and Arabs. 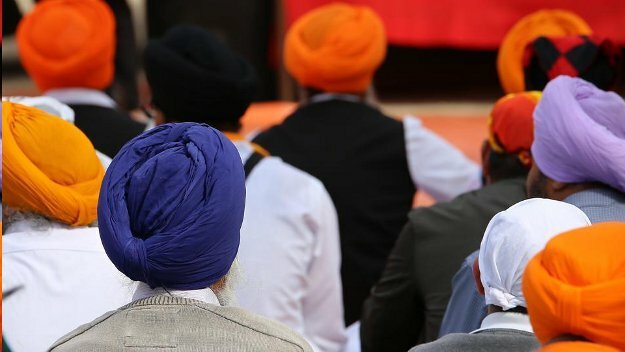 And Sikhs are too often mistakenly identified as terrorists because of their turbans. Despite the experience, D’Angelo expressed some understanding of the situation. “You don’t want to have any animosity towards [Indian workers on H-1B visas] because they’re looking for a better way of life,” D’Angelo says at one point.